Hello, hello! I hope you’re having an awesome fall so far! We took some family pictures at a park and it was a perfect fall day! I added some sneak peaks above. Every season is so exciting because it’s Emery’s’ first one! What have you been doing to embrace and enjoy this beautiful fall weather? Another thing I’ve really been trying to do is enjoy the season we’re in and not always worry about what’s next (but that’s a whole other post lol). So in doing so I’ve been loving on the fall products and scents. 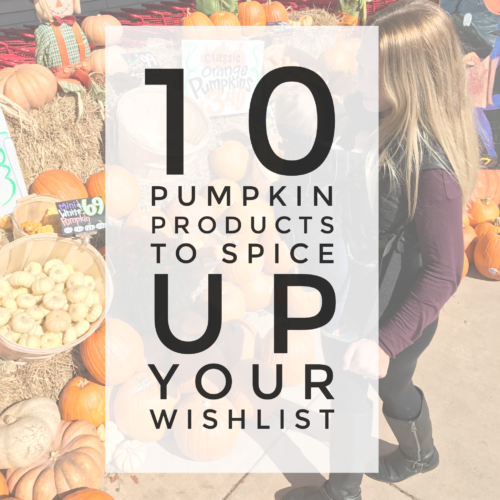 Today I’m sharing my current wishlist of pumpkin products. Share your fall favorites in the comments! I hope your week is off to a great start, Happy Monday. I know, I know! Me too. for pumpkin stuff! Beautiful family photos.